The Australian Securities and Investments Commission has vowed to get tougher on financial advisers, wealth management firms and quell what it believes is an increase in cross-border financial activity, as part of its enforcement plans for the first part of this year. The Australian financial regulator outlined what it sees as a growing number of offences in both areas, following the publication of analysis onto its enforcement outcomes during the period July to December 2016. ASIC’s Wealth Management Project said in a statement announcing its plans that it will continue focus on enforcement activity and “improve the standards of major financial advice providers in terms of quality of advice and remediation”. “We intend to build on the significant number of investigations and surveillances we have undertaken within this project in the last six months, which have resulted in a number of key outcomes,” ASIC said. In its publication ASIC said that it has chosen to focuses on its enforcement priorities to support ASIC’s Corporate Plan addressing the long-term challenges of; aligning conduct in a market-based system with investor and consumer trust and confidence; digital disruption and cyber resilience in financial services and markets; structural change in financial system through market-based financing, which is led by growth in superannuation; complexity in financial markets and products, driven by innovation; and globalisation of financial markets, products and services. “We are focusing on culture and incentives that result in poor financial advice, irresponsible lending and mis-selling to retail investors and consumers, which can undermine trust and confidence in the financial system and gatekeeper culture and conduct in markets,” ASIC added. Digital disruption and cyber threats remain a growing concern but ASIC is particularly focused on what it calls “the risk from misalignment between people’s understanding of financial products and how these products are designed, disclosed and marketed to them”. “We are targeting undesirable collective industry practices that jeopardise financial outcomes,” it said. 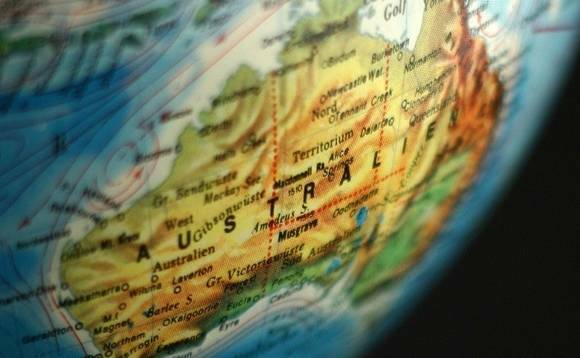 On cross-border businesses, services and transactions, ASIC added that it was focusing on “the increasing volume of cross-border businesses, services and transactions, and the interconnectedness of markets across jurisdictions”. “These may compromise market integrity and trust and confidence in the global financial system, it said. ASIC’s full report, also went into detail highlighting its enforcement success from the last six months and it outlined a clear directive for enforcement activity up to 30 June 201, which will be on the following key risk areas for misconduct. Conduct risk and the integrity of financial market benchmarks remain a high enforcement priority. We remain committed to ensuring that failure to meet disclosure obligations by entities and market abuse (e.g. insider trading and market manipulation) are addressed through enforcement action. rogue insolvency practitioners and others who facilitate serious illegal ‘phoenix’ behaviour and improper transactions in the face of insolvency. instances where licensees claim to provide general advice to retail clients during the sale of financial products (and therefore do not need to comply with the best interests duty and related obligations), but are actually providing personal advice.